This is the seventh entry in a series of MLB debates focusing on baseball-related topics. Victor Barbosa and Eric Schaal write pieces about what’s trending across the league, offering analysis and opinion on a particular topic in a point/counterpoint format. 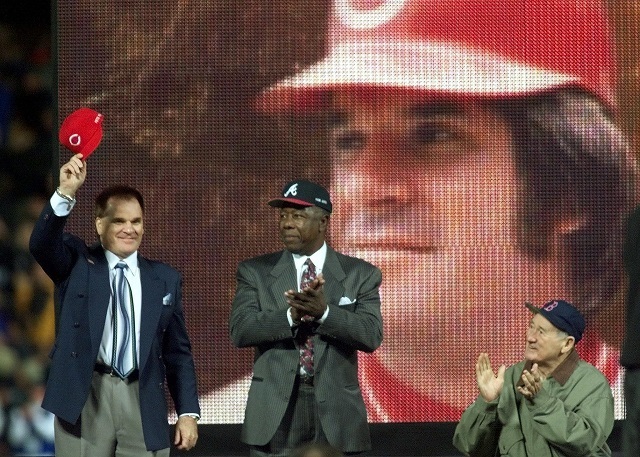 In January, when Rob Manfred was sworn in as the newest commissioner of Major League Baseball, a window of opportunity — perhaps the final one — opened for Pete Rose. MLB’s all-time hits leader is now 74 years old and not getting any younger. Manfred is tasked with considering the idea of reinstating Rose back into the game. While the commissioner technically does not have control over whether or not he is allowed into the National Baseball Hall of Fame, you’d figure that a reinstatement would give Rose a pretty good shot at that next step. We recently took a stand against arguably the greatest all-around player in MLB history, Barry Bonds, stating that he did not belong in Cooperstown. The circumstances surrounding Bonds and Rose are obviously extremely different, but our view is the same: This baseball legend should not be inducted into the Hall. Both players are synonymous with the word “cheating,” though Rose’s situation had nothing to do with gaining an unfair advantage by way of performance-enhancing drugs. Additionally, Bonds, to this day, stands firm that he never knowingly took illegal substances. Rose on the other hand — after years, even decades of denial — has admitted wrongdoing by way of betting on baseball… to a certain extent. The bottom line? Rose does not belong among the baseball immortals in the Hall of Fame. Read on to discover why. In April, Manfred himself said, “… The rule is clear that if you bet on baseball, you will be banished for life.” Now, in most cases, the notion of innocent until proven guilty would come into play. However, as with Bonds, Rose lost tons of credibility in the past due to continued lies and deceit. 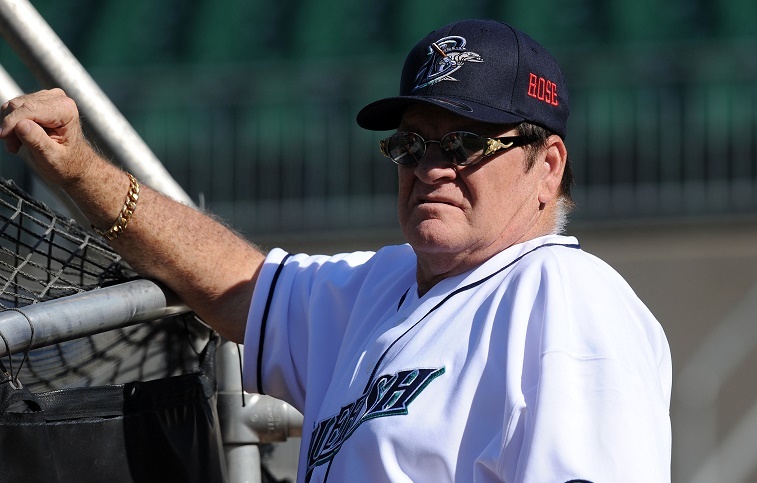 Yes, it’s good that “Charlie Hustle” is finally living up to some of his mistakes, but so far he has only gone as far to say that he gambled on games as a manager. After a June ESPN report stated that Rose bet on games as a player, whatever progress he had made to earning back trust was almost completely lost. He still denies ever betting on baseball while he was a player, but who knows what to believe? In 1989, three years after Rose retired as a player, it was decided that he would be permanently ineligible from baseball. Then, two years later, the Hall of Fame voted to ban those on the “permanently ineligible” list from induction. In 2004, nearly two decades after repeated denial, Rose finally said he bet on baseball, and on the Reds, when he was the manager of the team. He claimed to have never bet against his team and only to have made bets when he was no longer a player. This was five years after the infamous interview with Jim Gray by the way. The never-ending Pete Rose saga has stretched on for years and years and mercifully perhaps, could come to a close by the end of 2015. In the majority of cases, we’re all for giving second chances to people. Sometimes though, due to the nature of a crime or misdeed, forgiving the individual seems implausible. Looking at the big picture and all of the horrific, unnecessary violence across the globe, we certainly don’t view Rose’s gambling on baseball as a notorious, heinous crime against humanity. That would be naive. However, two things should prevent Rose from entering the National Baseball Hall of Fame. First, there is a pervading feeling that he’s still holding something back concerning his “admission.” Second, the sensible argument is that Rose has had many “second chances,” and in this case, whatever amount of truth he has indeed told is just too little too late. It’s a sad reality that neither baseball’s all-time home run leader nor all-time hit leader are in Cooperstown, but it’s a reality that must stand. All data courtesy of Baseball-Reference.com and ESPN.com. Want more great content like this? Sign up here to receive the best of the Cheat Sheet delivered daily. No spam; just tailored content straight to your inbox.